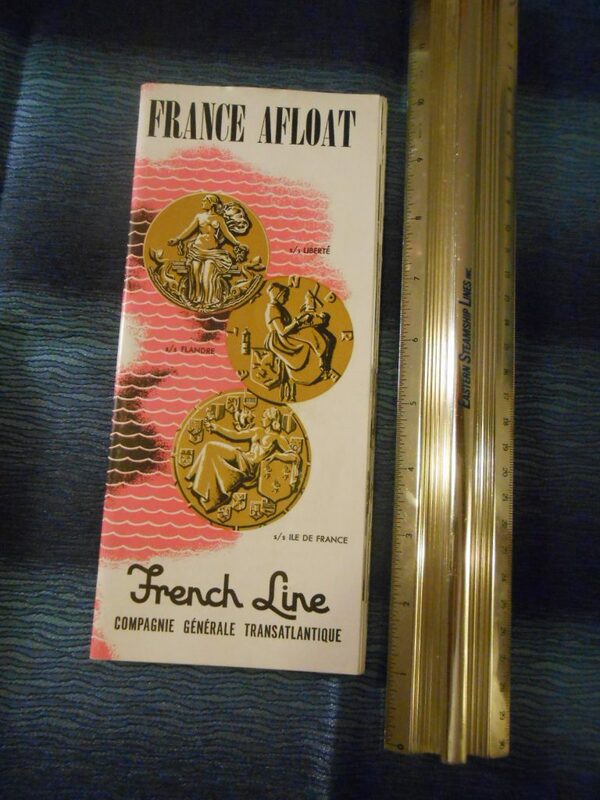 One of my favorite post war brochures for French Liners … I call this the medallion brochure since the cover has art shows the 3 souvenir medallions that were created for the ships … and could be bought in their gift shops. Pink and gold accents and lots of interior photos fill this brochure for these 3 French ladies. This is in excellent condition and looks like it was never opened.